For today I am posting what I refer to as my nemesis in photography. I have been trying to photograph this cactus for many years and just have never been satisfied with the results. I have shot it from every angle, during every season, and just don’t seem to capture the darn thing the way I see it. I’ve tried just photographing parts of it, the whole thing, and sometimes I try putting in the background of another cactus. And yet again during this trip to Phipps Conservatory I have attempted to capture this cactus and I may have finally at least come close to what I’m looking for but still just not there. I don’t know if it’s just the way the arms go in every direction and always seem to be in the wrong place or if it just doesn’t like having its picture taken. I would love to hear your opinions on this cactus and let me know if you have any subject that just seems to elude you in your work. 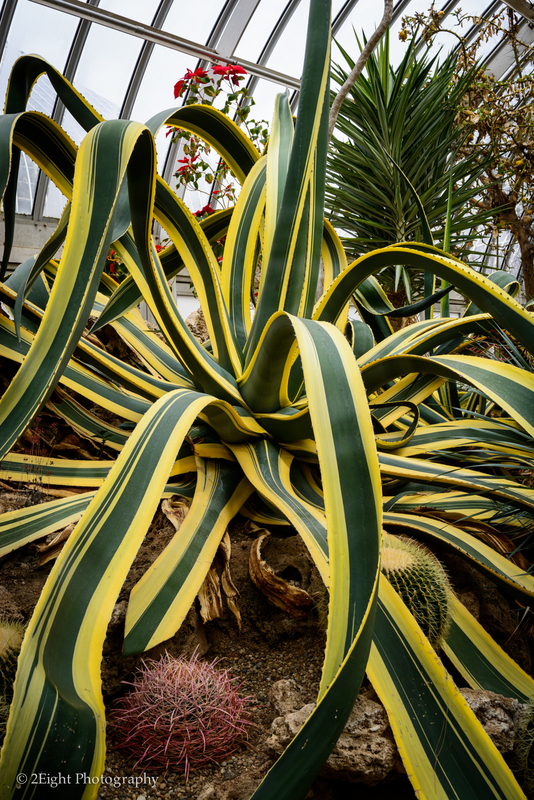 Today the photography club that I belong took a trip to Phipps Conservatory in Pittsburgh. We had a really great time and got some nice photos. 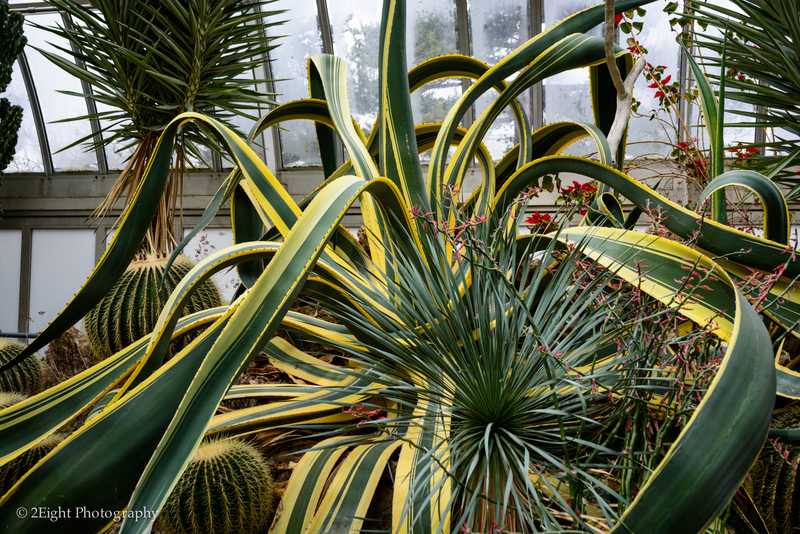 I have been going to Phipps for many years and always find something new and interesting to photograph. Today was no different. 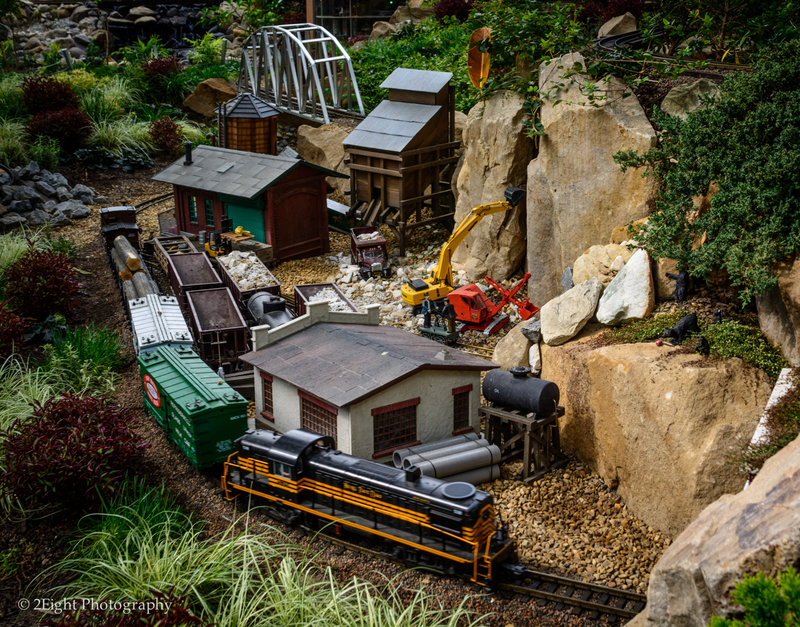 Todays photo is a contraction site from the miniature railroad display that Phipps puts on every year. Over the years I have become fascinated with the displays and always look forward to going there to photograph them. Since I was with my group I didn’t get to spend the time that I normally would have with the trains, but I can say that I will be returning soon. And hopefully you all will enjoy the photos as much as I enjoyed taking them. Stay tuned for tomorrow’s post of what I think may be the most fascinating flower that I have ever photographed. What are your thought about the model train display in todays photo? 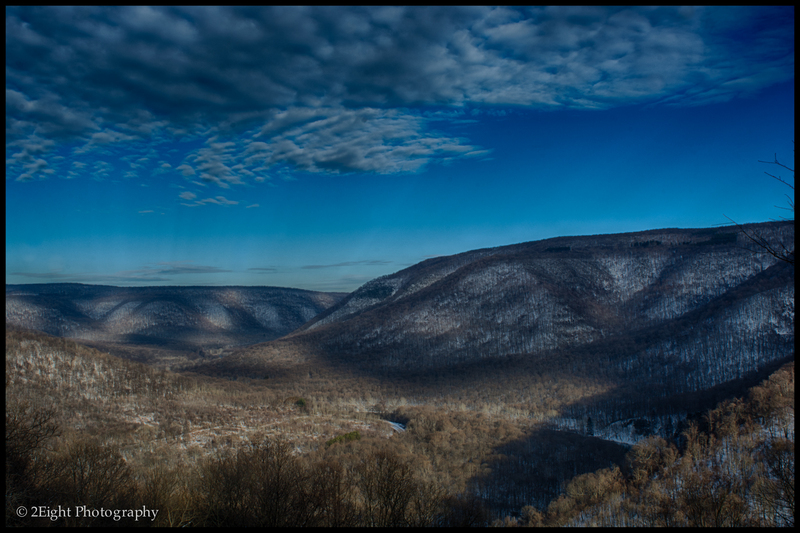 For todays’ photo we head to an overlook in Ohiopyle . This is called Baughman Rocks. The view from Baughman Rocks is spectacular but the story behind the rocks is just as interesting. Apparently the rocks are part of a murder mystery that took place in 1849. The story tells of a father and his two sons that were out looking for missing cows and during their search the father got upset with one of the sons for lagging behind. After some yelling he hit the boy with a large stick, that he had been carrying, and possibly killed him. He then took the child and laid his body in a crevice in the rocks. Claiming that the two boys had been running and the missing child had gotten ahead of them he thought that the boy had returned home. So for the better part of a month a great search for the missing boy took place. After the blame for the missing boy turned towards the father the surviving son told the story, later testifying in court against his father. Who was found guilty and spent over 11 years in prison, all the while proclaiming innocence. They mysterious part of the story is that the body of the boy was never found. The question remains today did the father kill the boy and bury him somewhere in the woods, was he just knocked out and later awoke and got lost in the woods, was the human remains found in nearby pine swamp those of the boy? We may never know the true story of the fate of the boy. 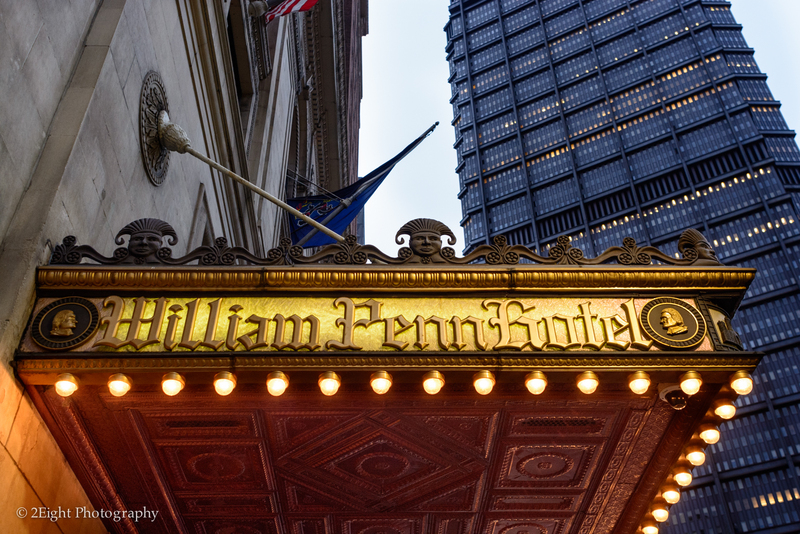 Tonight’s photo is a shot of the entrance to the William Penn building on Grant Ave in Pittsburgh, Pa. I really like the design on this one. With the hours that I work it has been some time since I was off work with a little day light left. 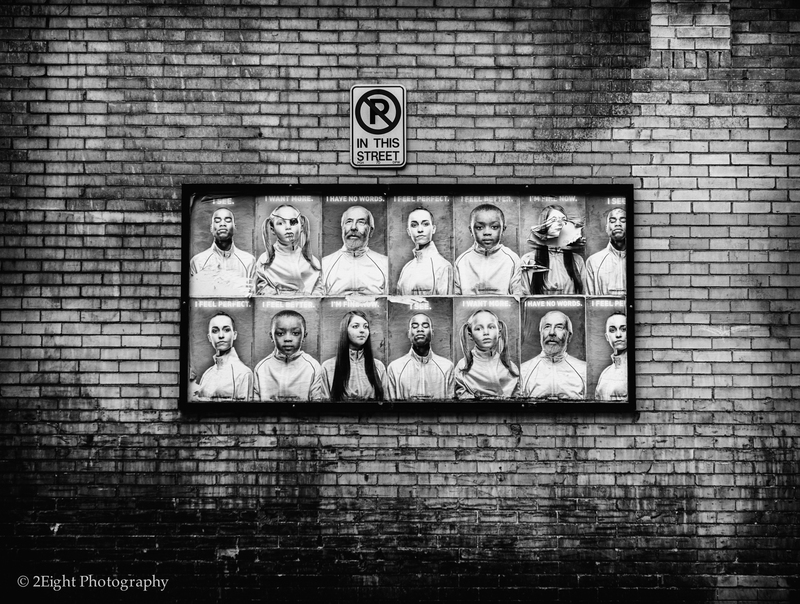 Today was one of those rare occasions, so I took a walk around Pittsburgh. 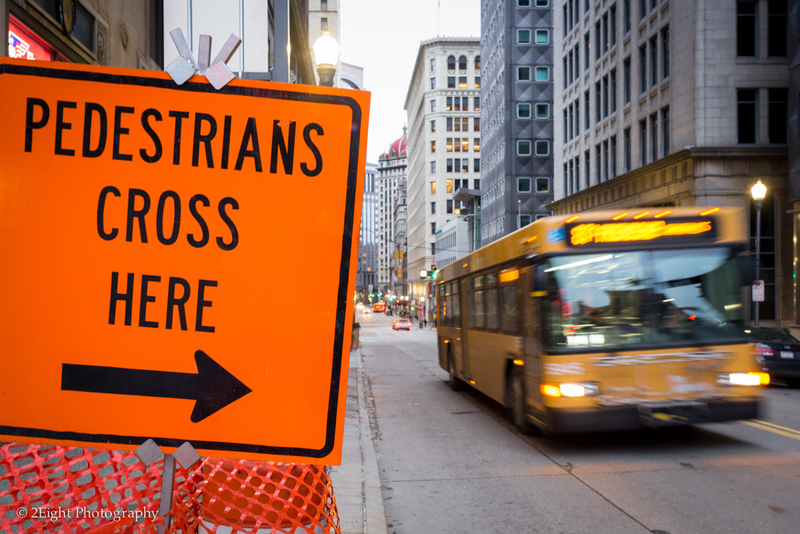 On my stroll I came across this sign and noticed the bus coming up the road. Waited and got this shot which I find funny. What do you think?